With superior customer service and expert workmanship, Bowman Masonry has become one of the leading masonry contractors in the GTA. Professional masons should always handle the rebuilding of a chimney, as they must meet designs and codes, and must actually do the job they are built for – venting both fireplaces and furnaces. A specialist, such as Bowman Masonry, is required for these projects, as proper installation is important, most especially with Toronto’s long and cold winters. 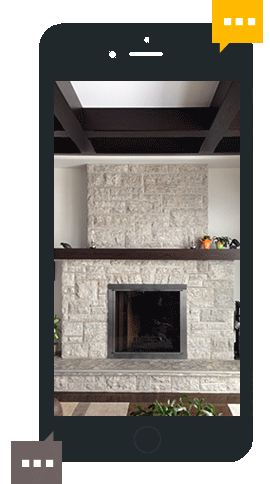 As WETT certified specialists, Bowman Masonry is able to correct any issues with your current fireplace; it may be incorrectly designed and add more smoke to your room than heat. We are proficient at ensuring that the fireplace does as it’s meant to, in addition to being an elegant attraction to your home. Beyond professional knowledge and skill, there’s a craft to masonry restoration that can only be honed through decades of working with tools, materials and structures. And, this is what makes Bowman Masonry the restoration partner you’ve been looking for – expert craftsman capable of solving your restoration problems. We are able to relocate openings; for example, add new windows and create patio doors; our masonry skills include structural projects requiring large beams or removing entire walls. We will use new or reclaimed bricks to match your existing brick as close to perfect as possible, and excel in mortar colour matching so that no difference can be seen. Bowman Masonry Restoration Ltd. completed a rebuild of 3 double chimneys on our house. This was a big project that they completed with great attention to detail, keeping the site clean and doing quality work in a timely manner. We were very impressed by the detailed brick design which matched the original artistic brick layout that was originally used. All of the people involved in the work were very respectful and considerate and great to interact with. I would highly recommend using Bowman Masonry. I wanted to send you a quick note to Thank You. We had some people over last night and enjoyed a fire on the deck into the wee hours of the morning. Such a beautiful thing to be able to enjoy. People kept commenting all night what a nice fire. We bragged about your workmanship and Rumford suggestion and I thought I should send you a quick note to let you know the sorce of why your ears were ringing last night. Thank You again. Hope all is well. My house on Palmerston Blvd in The Annex is over 100 years old and had holes in the chimney. I’d called another chimney company whose name I got from HomeStars. I was going to go with them but decided to get a 2nd quote. My 70-year old roofer with a world of experience told me to call Guy Bowman. Excellent trades typically recommend one another. Guy’s quote came in a fair bit less than the first quote probably because the first guy gets a commission and factors that in. Guy’s quote was also more detailed. His crew was super-polite, friendly, knowledgeable and considerate of the property, both inside and outside. Everything was covered up to ensure nothing got damaged. I’ve already referred a neighbor to Bowman Masonry and hope to use them to rebuild a garage on another property. Just wanted to thank you for the good work at Brentwood. John tells me that things went really well there and he made a point of saying how helpful you were. Thanks! 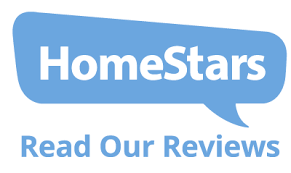 The crew was highly professional and knowledgeable. The final job was great and did not require any follow up questions. The crew organized they work within a promise time frame. I was very impress how considered they were regarding our front lawn and the clean up. Highly approachable and professional crew. I would recommend yours service to anyone without any hesitation. I chose Bowman Masonry because they had done some work for my mother several years ago and we were satisfied with that job. I know it took awhile to secure a date for my chimney removal because of the rainy weather we had earlier in the season. Once Guy committed to a date – it happened on time – the two fellas did a lovely job. We had asked to keep the ‘good’ bricks and they piled them in an orderly fashion where my husband requested. You can’t tell I ever had a chimney – they matched the shingles to the existing roof. I would certainly recommend your company. Guy Bowman has been providing expert masonry restoration and repair services since 1981. Whether it’s a recent build or a registered historic property, Guy and his team have what’s needed to get the job done right, on time and on budget. Call today for a free estimate.